Gonzalez’ body was discovered in June 2014 in the Avra Valley community near Tucson, not far from where Celis’ remains would be found three years later. He then provided information to authorities that led to the discovery of Celis’ remains, Magnus said. Investigators later discovered additional pieces of evidence, but they did not describe Saturday what they had found. “The heart-wrenching tragedies of Maribel Gonzalez and Isabel Celis’ murders have been compounded by a very long, long wait for justice,” she said. 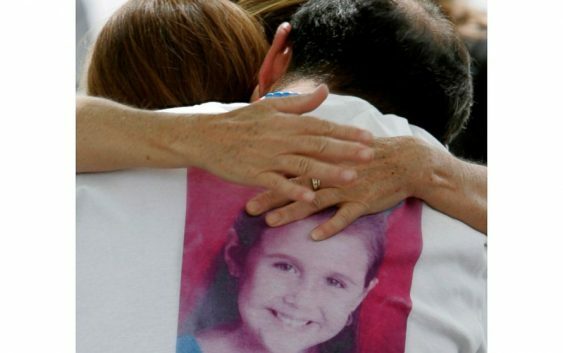 Celis’ father reported the girl missing on the morning of April 21, 2012, after he went to her bedroom and she was not there. Police previously did not name suspects, but they said they found “suspicious circumstances around a possible entry point” into the home. A medical examiner last year ruled Isabel Celis’ death as “homicide by unspecified means.” A heavily redacted autopsy report did not indicate how she died. Gonzalez went missing on her way to a friend’s house. Her body was found days later. Clements was jailed in April 2017 on suspicion of burglary, theft and fraudulent schemes, Maricopa County Sheriff’s Sgt. Bryant Vanegas said Saturday. Vanegas did not have information about when Clements might be transferred to southern Arizona to face charges in the case of the girl’s killings.